This new biography of Arthur Mee (1875 - 1943) - the journalist and children's author from Stapleford in Notts - is published by The Lutterworth Press in August 2016. 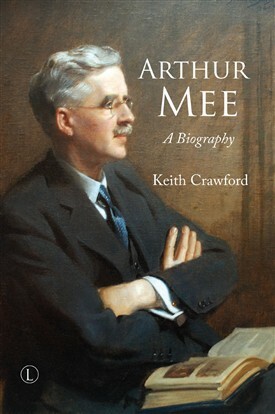 The book's author is Professor Keith Crawford of Macquarte University, Sydney, Australia, and draws on approximately 700 letters sent by Mee to his friend John Derry, as well as letters between Mee and Alfred Harmsworth. The book enables readers to locate Mee's writings in journalism and children's literature within the wider cultural, political and social context of England between c.1900 and 1943, and to provide an antidote to the "overly romanticized nostalgia attached to Mee's name". There is a focus on Mee's patriotism, faith and belief in Empire, and discussion of his creation of the Children's Encyclopaedia and Children's Newspaper. In his home county, Arthur Mee is particularly remembered in Stapleford Library with a special collection of his many and diverse books being held there. The portrait used on the front cover of Keith Crawford's new book now hangs in the library's meeting room. 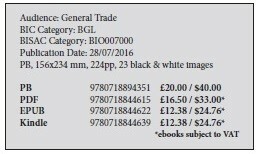 This page was added by Website Administrator on 06/07/2016.